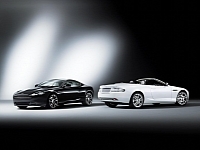 Aston Martin DB9 Special Editions - AutoNetTV Media, Inc.
Aston Martin is launching three special editions of the DB9. Just got new wiper blades. Could you use some?